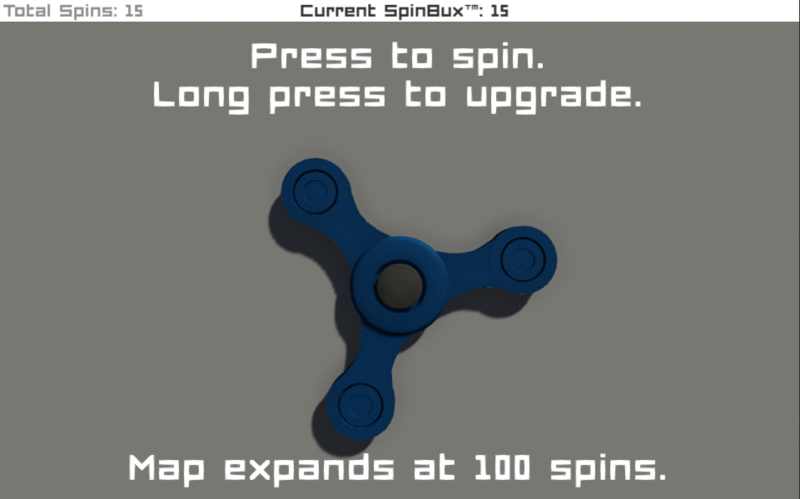 Are you a spinner? Are you avoiding the craze like the plague? 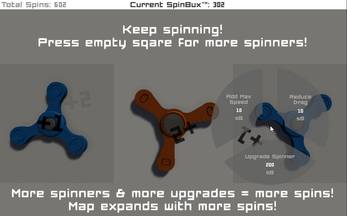 Whatever your opinion, you can always enjoy spinning virtually in this quickly irrelevant spinning simulator! 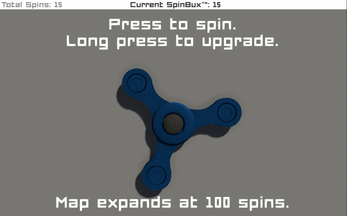 Spin spinners to get spins! 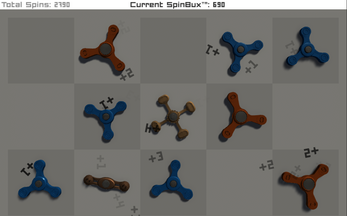 Spend spins to get spinners! 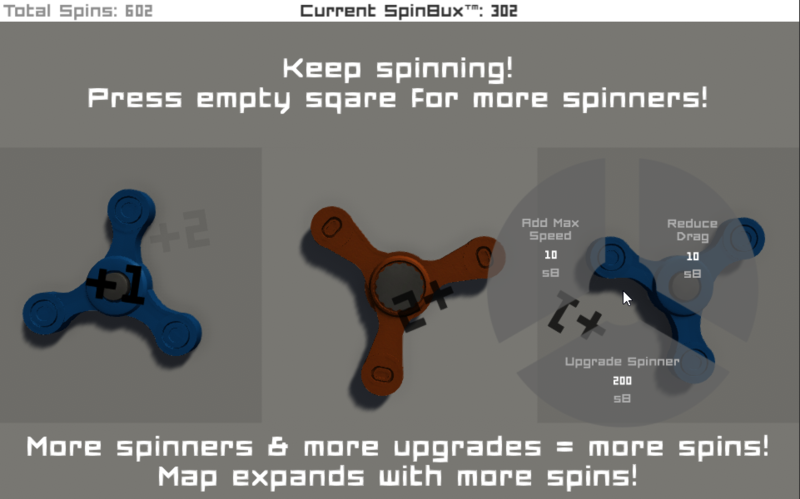 Upgrade spinners with spins! maxed it out in about 3hrs of constant play, but had more fun than i expected, would love some more upgrades, quite the enjoyable idle/clicker game. 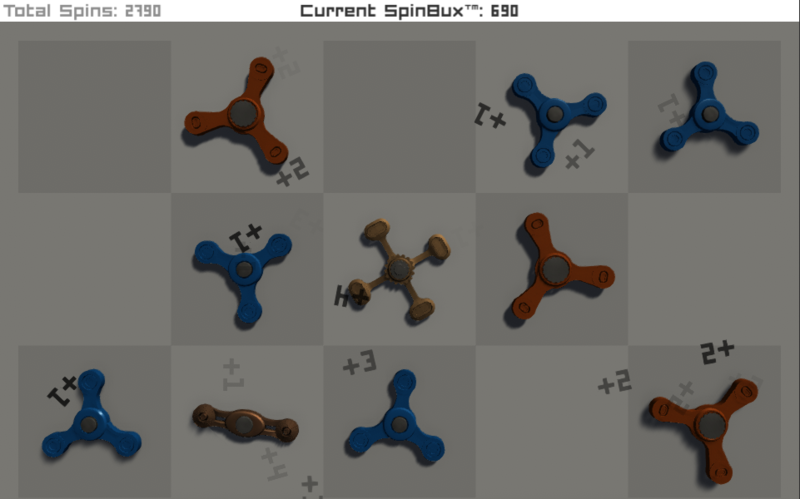 Such a well paced amazing Idle game, I'm hoping there isn't an "auto-spin-forever" mechanic cause that would kill the motivation to return to the game (something suspect I'll be doing a lot of today, thanks for killing my productivity for the day). And since the game only relies on the mouse as input it makes the controls so much more simpler. And that Upgrade-interface is awesome.